When looking for high quality and unique home furnishings for a great price, consider visiting a consignment shop. There is a common misconception that consignment is a glorified thrift store, but with high-end, discerning consignment shops becoming more popular, nothing could be further from the truth. The consignment stores featured in this article are known for the high-quality offerings at great prices. Many customers often brag about the great deals they’ve scored; being able to spot a great deal at a bargain price is a badge of honor for many. People consign their home furnishing for various reasons, children move in or out, people upgrade or downsize, people move or buy a new home. Life changes all the time and consignment stores are the place to go when your furnishings are too high-end and well-kept for an estate or garage sale. Consigning seeks to strike the balance of a good return for the seller on high-quality pieces and a good deal for the buyer. Quality consignment shops except only well-cared for furnishings that are attractive, stylish, and will most likely sell. They then arrange the furniture in attractive vignettes and seek to find the valuable pieces new homes. By accepting only the best furnishings and filling their shops with likeminded pieces of similar quality and value, these shops are able to command more value for the furnishings and provide a better return for the seller. even offer pick-up and delivery services for a small fee. Once a piece is accepted into the shop for sale, the seller and shop owner usually work together to price the item. The initial price is usually reduced somewhere around 15% after the first 30 days if it hasn’t sold. After another 30 days, or 60 days from entry into the shop, the piece is reduced another 15% for a total of 30% off the original price. Most shops only agree to keep pieces on their floor for 90 days. After that if your piece hasn't sold you can pick it up or donate it. 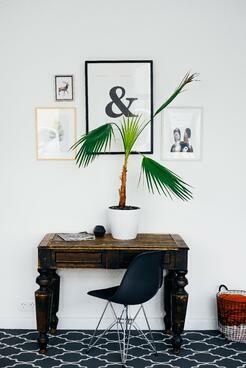 The shop owners are so discerning that most pieces sell within 30 days of entering their shop. If your piece does sell, you split the profit with the shop owner. The general industry standard is 50% for each party, but some shops are more generous and give the seller 60% and keep 40% for themselves. Most shops sell in store only, but a few post pictures and prices of their pieces online and sell items to buyers all over the country. purchasing clients, many visiting weekly to see what’s new. wood tones, and fabrics make consignment shops a great place to update your home's look while staying within budget. Consignment shops offer good quality home furnishings at a value that benefit both the buyer and seller, as well as the small business owner. Great consignment shops...just another reason why we love where we live! Virginia Beach has all the elements of a classic seaside resort town all within a short drive making it the perfect day trip beach destination. 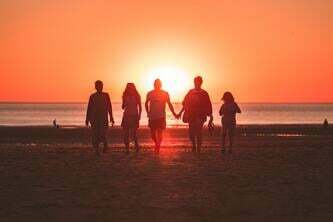 Just an hour or two away, you will find gorgeous beaches, a bustling boardwalk, a variety of excellent restaurants, and fun activities sure to appeal to outdoor enthusiasts and kids. Virginia Beach is a year-round destination with beach fun and water play in the summer and many attractions to explore in the less crowded, cooler months. Let’s head east and explore! Virginia Beach first and foremost offers miles of wide, gorgeous sandy beaches along the Atlantic Ocean. People near and far flock to Virginia Beach to sun bathe on the shore, splash in the waves, and enjoy the boardwalk. If you like adventure, Virginia Beach has exciting waves that attract boogey boarders and surfers daily, especially around the south end of the beach. The locals usually surf around 1st Street at the oceanfront if you want an authentic surfing experience. Still a grommet on the waves? No problem, several outfits offer surfing lessons and board rentals including VB Surf Sessions, Seth Broudy School of Surf, and Pungo Board House. You can find more information on lessons and rentals on their websites at www.vbsurfsessions.com, www.sethbroudyschoolofsurf.com and www.pungoboardhouse.com. Those wanting to enjoy the water at a slower pace might enjoy stand up paddle boarding, or SUP as seasoned paddlers call it. Companies offer lessons, rentals, guided eco tours, and even SUP yoga on the calmer waters around Virginia Beach including First Landing State Park, Rudee Inlet, and Back Bay. SUP is great exercise and offers beautiful nature views that often include pods of dolphin, osprey, bald eagles, great blue herons, and more. A few tour companies to check out are Beach Eco Tours, Rudee Inlet Stand Up Paddle, and Tula Adventure Sports Stand up Paddleboard & Kayaking. You can learn more on their websites at www.beachecotours.com, www.paddleboardvb.com, and www.tulasports.com. For those looking to just sit back and enjoy the view, a boat tour might be more your speed. Many tours are offered including fishing, dolphin watching, and there is even a Craft Brews Cruise offered by the Virginia Aquarium! Capt. Jack’s Pirate Ship Adventures are very popular with tourists of all ages. Aboard Capt. Jack’s Black Pearl, a bright red ship flying iconic Jolly Rogers, passengers sing and dance along with the crew, enjoying the show as much as the view. More information on boat tours is available at www.rudeetours.com, www.virginiaaquarium.com, and www.virginiabeachpirateship.com. When exploring Virginia Beach’s land-based attractions, the VB Wave, a trolley-inspired bus, makes getting around fun, easy, and affordable. The VB Wave transports passengers around the oceanfront, Rudee Inlet, and First Landing State Park. Just hop aboard at one of the many stops and sit back and enjoy the ride! Fares are due in cash and cost $2.00 per adult and children 17 and under are free with a paying adult! Day passes are available for $4.50 each. All of the fun in the sun is sure to make you hungry and Virginia Beach has many delicious and unique dining options. A couple of our favorites include Citrus, breakfast here is a must! Located at 2265 W Great Neck Road and made famous by appearing on Diners, Drive-Ins, and Dives, locals and tourists alike stand in line for citrus orange glazed pancakes and innovative benedicts. And what’s a trip to the beach without enjoying a raw bar? Local favorite, Big Sam’s Grill and Raw Bar located at 300 Winston Salem Ave. in Rudee Inlet serves up fresh, locally caught seafood dishes and raw bar items in a comfortable setting with views of the marina. Thirsty for an adult beverage? Quench your thirst with an Orange Crush, the unofficial drink of Virginia Beach, made famous by Waterman’s Surfside Grille, a great oceanfront restaurant at the south end of the beach. The recipe is a blend of the juice of one whole fresh orange with flavored vodka, orange liqueur and a splash of Sprite served over crushed ice. If you decide to turn your day trip into an overnight, there are numerous hotels and motels for every budget. One of our favorites is the Hilton Garden Inn Virginia Beach Oceanfront located at 3315 Atlantic Avenue, Virginia Beach. This hotel is at the northern, quieter end of the beach and features an indoor/outdoor pool and their onsite restaurant, Lagerheads. There is so much to see and do in Virginia Beach, enough to fill up many, many day trips. It’s a good thing this jewel is just a short drive away! Other day trip options include a visit to the Virginia Aquarium and their Adventure Park, seeing a concert at the Veterans United Home Loans Amphitheater, visiting the Military Aviation Museum, touring an oyster farm, visiting the Cape Henry Lighthouse, playing at Top Golf, and so much more. Plan your trip today! Virginia Beach...just another reason why we love where we live! What Can We Expect to See in the Richmond Market in 2019? 2018 was another solid year for local real estate. Here in Richmond, closed sales finished down 2.15% for the year, with a 6.2% increase in 2 years overall. The final month showed pending sales down 12.3% compared to the year prior. We are entering 2019 with less than 1.84 months of active inventory, and homes selling, on average, in only 32 days. On average, sellers accepted offers at over 99.75% of their asking price last year. That is good news for sellers who are priced properly and in good condition, or for prospective sellers who are thinking about diving into the market. Nationwide, most markets are experiencing inventory shortages, which is the single biggest factor keeping a lid on the number of sales. Prices remained remarkably steady during the past 12 months, with the median sales price in Richmond slightly above $290,000 for most of the year and finishing up at $293,539. A shortage of listings has been our biggest challenge for the past 18 months. My expectation is that we will continue to see more listings come on the market as we move into the Spring. We have seen a significant jump in new listings over the past few months, signaling that wise sellers recognize the importance of beating the competition to the Spring market. As the typical Spring seasonal demand builds, consumers will realize that moves need to be made ASAP in order to take advantage of a 9 year streak of historically low rates and home values. It’s important to note that the market can shift quickly, and it will not surprise me to see a highly competitive Spring season for homes selling below $350,000. Interest rates will begin a slow and steady climb this year. Interest rates have been perplexing over the past 12 months. 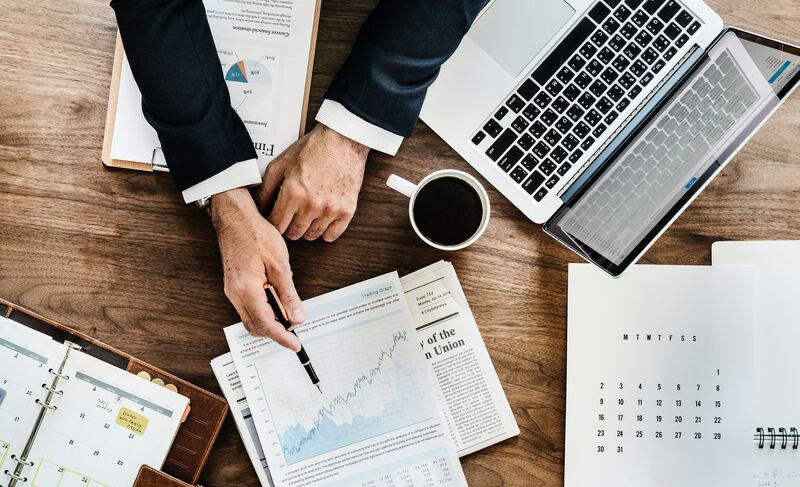 Most predicted the inevitable ascent would begin as the economy gained steam, but rates remained lower than predicted, most likely because the feds were hesitant to do anything that might inhibit the momentum of the recovery. I believe that 2019 will be the year that interest rates incrementally increase, but the question remains by how much and how frequently. The good news is that this is a sure sign of a strengthening economy, but the bad news is that each hike raises the bar on home affordability. My prediction is that this will add some urgency to the market this year, particularly in the lower price ranges. Prices will finally begin to show improvement in many neighborhoods. Prices are neighborhood specific, and some areas are definitely improving faster than others. Appreciation was up in the Richmond Metro market last year (with the median sold price up just over 3.72%), and I expect will continue to trend toward more normal appreciation rates (4 to 5%) in 2019 and beyond. If a home purchase is on your New Year resolution list, buy early in the year, as interest rates have a much greater impact than most realize. For instance, waiting for prices to drop 5% to save $12,500 on a $250,000 purchase may cost you an extra $225 per month in payments; if rates increase from 4% to 5.5%, then your payment increases from $1194 to $1419. For most buyers, the affordability index of monthly payments is a more critical consideration. We were fortunate to be a part of the Richmond Real Estate Market. Your support and referrals are much appreciated, and we promise to deliver the extraordinary client experience that has become our hallmark! If you are looking to buy or sell a home this year, email us at info@lizmoore.com. We'd love to help! The Annual Mame Awards were held on Friday, March 1st in Richmond, Virginia. MAME stands for Major Achievements in Marketing Excellence and the MAME Awards pay tribute to superior sales and marketing achievements by individual professionals, home builders, developers, remodelers, real estate agents, and associate members. The competition is presented by the Sales & Marketing Council (SMC). Three of the area builders that are marketing by Liz Moore and Associates took home awards. Perkinson Homes won for Best DVD/Promotional Video and Best Digital Advertisement for their video series promoting Primland Creek in Hallsley. A majority of their lots were pre-sold due to these promotions, so it is no surprise that they came home winners! Baldwin Creek and Philip Bourdon won for Best Community Spirit. Philip believes in giving back to his community by sponsoring an apprenticeship program with a local high school, giving students hands on experience in the building world. 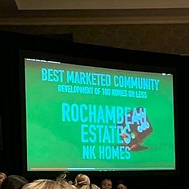 NK Homes won the award for Best Marketed Community in Rochambeau Estates. The newly-established Rochambeau Estates highlights the beauty of New Kent County with spacious and quiet lots. This lends itself towards private living while still delighting in the charming community. 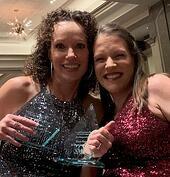 In addition to our builder clients winning big, Tonya Morrow, managing broker of our Richmond office, took home two awards. Tonya won Marketing Executive of the Year and Sales Manager of the Year. Wow! Congratulations, Tonya! If you are interested in buying or selling real estate in the Richmond, Virginia area, or are a home builder looking for a firm to support you in marketing, email us at info@lizmoore.com. 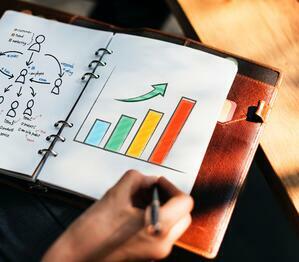 We'd love to show you how our effective marketing can serve you! Real Estate Assessments are up in the majority of counties across the Richmond area and the news has homeowners buzzing. Hanover County will see its largest year-over-year increase in the past decade by 6.1%. According to the assessor’s office, the reassessment of 37,000 properties and new construction will increase the value of the county’s total taxable property by $856.6 million. The median assessment of a Hanover County home will be $277,700, an increase of 7.7% over the current year. In Henrico County residential real estate assessments were roughly 4.8% higher than last year’s, with the average assessment at $255,000. Henrico’s tax rate is 87 cents per $100 of assessed value, meaning that the average real estate tax bill for Henrico homeowners will increase by about $92. The average assessment in Chesterfield County increased by about 3.7%, with the average single-family home assessed at $250,000. Here, the county’s real estate tax rate is 96 cents per $100 of assessed value. What does this mean for homeowners? The market is strong and there's not a lot of inventory. If you have been thinking about selling, now could be the time! Email us at concierge@lizmoore.com, or click below, and we can prepare a complimentary analysis of market value for you. We had so much fun with this year's Love Where You Live Photo Contest. We had 265 photo submitted from 55 different photographers. Thank you to all who participated and helped us tell of the many reasons why we love where we live! Let's See Those Photos of Your Favorite Places This Month! The Liz Moore Love Where You Live Photo Contest is highlighting photos in the "Special Places" category during the month of August. Submit your photos at www.lizmoore.com/love and we'll select winners from that category at the end of the month. Remember, this year's overall photo contest will run through October 15, 2018, and at that time we will select the grand prize winners. We will be awarding prizes such as an iPad, Busch Gardens Season Passes, cash, and more! Thank you for showcasing why you love where you live! Liz Moore & Associates is delighted to announce that it has been selected by NK Homes as the exclusive marketing agency for Madison Estates in Hanover. Team Hensley will be the exclusive sales team representing the community. Madison Estates is a luxury development consisting of 1-2 acre, open lots. 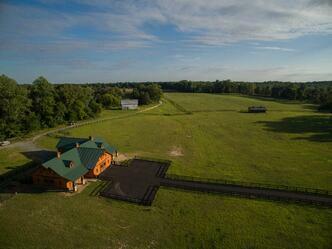 An equestrian lover’s delight, a custom stable is situated in the center of the development. Located nearby are horseback riding and walking trails and large community spaces. Neighbors enjoy seclusion, yet they are only minutes from Richmond. Learn more about this special new community at www.lizmoore.com/madisonestates. For more information about Madison Estates or to arrange a visit, contact Jana Mills at 804-909-9570 or email janamills@lizmoore.com for a brochure. The Love Where You Live Photo Contest is Back! 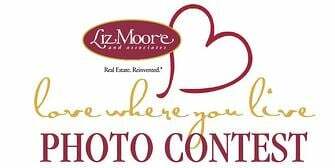 We had so much fun a few years ago with the Liz Moore Love Where You Live Photo Contest that we've decided to do it again! Who doesn’t love to take photos of the things that make them smile? Whether you know your way around a sophisticated camera, or you just enjoying taking photos of your cat with your iPhone, we’d love for you to enter! Enter photos in categories such as Recreation, Community, Pets, Special Places, and more. The photo contest will run through October 15, 2018, and at that time we will select the grand prize winners. Over $4,000 in prizes will be awarded including an iPad, Busch Gardens Season Passes, cash, and more! We will also be running “mini contests” each month – stay tuned for details. Enter as many times as you’d like! Visit lizmoore.com/love to enter and to view our photos entries so far. 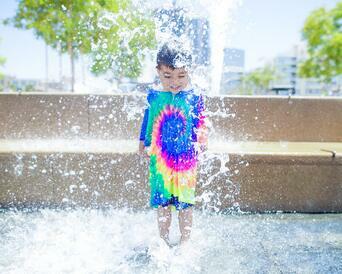 With temperatures heating up, we’re all looking for places to cool down. Waterparks are the perfect place for the whole family to cool off together and have some fun. Luckily, there are many options just a short drive away, making a trip to the waterpark the perfect summer day trip! The largest and best-known water park in Virginia is Water Country USA. 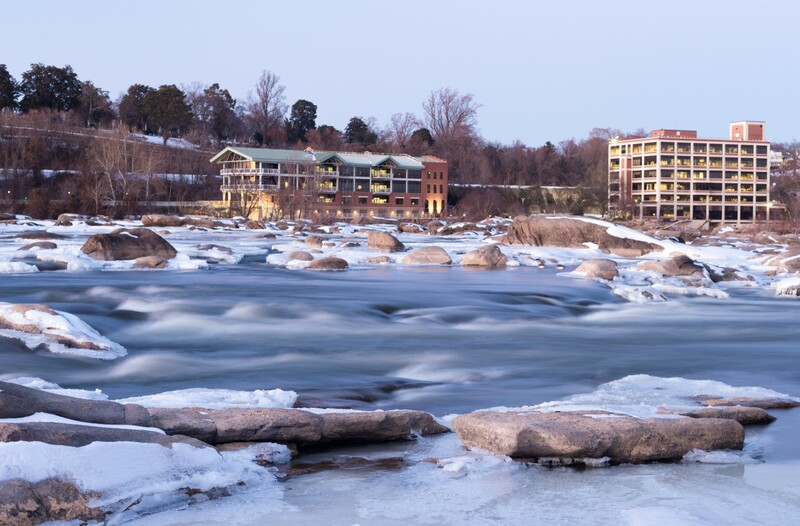 The 43-acre park has state-of-the-art water rides and resort-style amenities. From water thrill rides and giant slides, to lazy rivers, a giant wave pool, and multiple children’s splash areas, there is truly something for everyone at Water Country. Live entertainment, restaurants, souvenirs, cabanas, and locker rentals are available for guests. Admission is $60 for guests over 3 years old. Kings Dominion is a theme park just north of Richmond in Doswell featuring thrill rides and roller coasters as well as a water park called Soak City, all included with your admission ticket. Soak City is a 20-acre water park featuring two wave pools, a lazy river, thrilling water slides, an interactive splash pad for children, and more. Cabana and locker rentals are available, along with several food choices and souvenir shops. Admission for guests over 48 inches tall is $68.00 and junior/senior prices for those under 48 inches is $46.00. Ocean Breeze Waterpark is located in Virginia Beach and features over 30 rides, slides and attractions. Features include a one million-gallon wave pool, a lazy river, many body and float slides, and many slides and areas for small children including two water play structures. Cabanas, lockers, four eateries and three snack spots offering treats like slushies and dippin’ dots. Cabanas and sunbrellas are available as well as locker rentals and souvenirs. Cobblestone Park (formerly known as Overhill Lake) in Glen Allen is a large pool/waterpark with over one million gallons of water, fun water slides, anchored floats, waterfall mushrooms, and sand beaches with 20-foot-wide umbrellas and picnic tables. Admission is $15 per person for a day pass, and children 32 inches and under are free. Hadad’s Lake, located in Richmond, is a swimming lake and picnic ground that offers something for everyone. The water is filtered and chlorinated with a sandy bottom. There are two shallow 0-4 ft. deep and one large 15 ft. deep swimming areas that include rope swings and the super launch, “The Blob.” There is also a three-acre lake for fishing and row boating, seven pavilions, 12 gazebos, several hundred picnic tables with umbrellas around the swimming and lake areas, a basketball court, sand volleyball courts, horseshoe pits, 18 hole mini-golf, two children’s playground areas, and a clubhouse. Guests are asked to bring their own life jackets if they have them as the Lake only carries a limited number and they are required when using the inflatables. Children one and under are free, all others are $14.00 per day. H2OBX covers 80 acres and is located three miles north of the Wright Memorial Bridge, the northern gateway to the Outer Banks. Resort style amenities are available including 50 private cabanas with luxury service. Four food and beverage outlets, lockers, and Wi-Fi are also among the conveniences. The waterpark has more than 30 waterslides, pools, and attractions for visitors to enjoy. Guests can ride the waves on a FlowRider, float along an adventure river, body surf in two wave pools, and experience a 1,000-gallon bucket dump, in addition to an array of traditional rides and attractions. A large younger children’s area is also available featuring a pirate-themed aqua play structure with over seven slides including the Champagne Bowl body slide, and five other kid’s body and tube slides. Admission for those over 42 inches is $41.99, children under 42 inches are $29.99, and children age 2 and under are free. Maui Jack’s Waterpark just opened in May 2018 in Chincoteague. Visitors can enjoy brand new waterslides and floating on the lazy river. Cabanas, locker rentals, concessions, and souvenirs are available. Full and late day passes are available. Full day rates for children under 47 inches are $17.99, $22.99 for adults and those over 48 inches, and seniors 65 and older are $19.99. Many parks offer online discounts, military discounts, group rates, coupons, and season passes. To learn more, visit each park’s website for detailed information. Waterparks...just another reason why we love where we live!